Shawn Vetengle, Community Manager at Bridgton Place Townhomes in Saginaw was recently presented a Citizen Citation Award from the Saginaw Police Department, and was also awarded a Citizen’s Citation by the Michigan Attorney General’s office. Shawn has been with KMG since 2011 and is a great asset not only to us, but to the community she works in as these citations demonstrate. Several team members from the Mt. 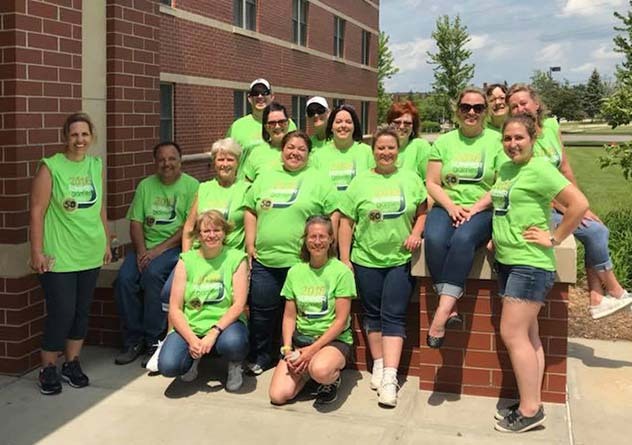 Pleasant Support Center volunteered as the “Move-In Crew” for the 2018 Special Olympics State Summer Games at Central Michigan University on May 31, 2018. It’s so great to work for an organization that provides us with a paid day to volunteer within our communities, and for us to find ways to give back. KMG Prestige welcomes the newest General Capital owned property, Berkshire Muskegon. Berkshire Muskegon is a newly built, beautiful 84-unit family housing property located in Muskegon, Michigan. KMG Prestige will be attending the Ohio Housing Conference November 6 – 8, 2017. Stop by and say hi! While you’re there, don’t forget to ask us how we can help you with managing your property. KMG Prestige Inc. is now managing properties in the state of Kentucky. We are currently managing 14 properties throughout the Louisville and surrounding areas. KMG Prestige is proud to announce our newest partnerships with Stonebridge Global Partners, Time Equities Inc. and Sterling Investment Group. The ownerships have properties located in Grand Rapids, Michigan, Utica, Michigan, Chicago, Illinois and Toledo, Ohio.